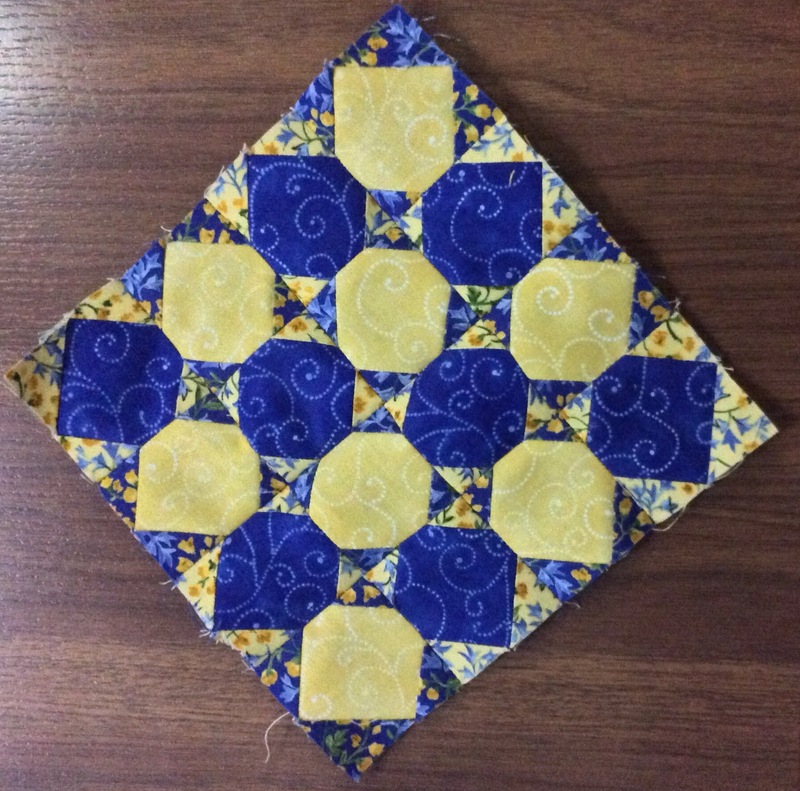 Technique used – Foundation paper pieced except for centre Pinwheel and surrounding frame. Who is Afraid of Salinda Rupp? What is the craziest bit of piecing that you have ever done? 276 pieces in four 1.5″ wide strips there! Mine has to be this! 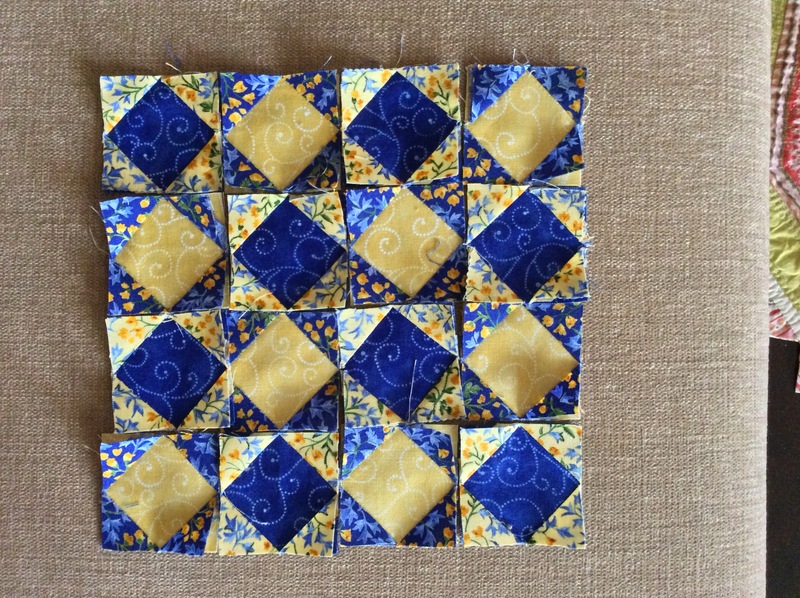 276 pieces in 36 square inches when finished, equivalent of a 6″x6″ block. I have worked on it for well over 20 hours now, including the drafting, printing, ironing, cutting, sewing, ironing, sewing, ironing, sewing – you know the drill! I am still to remove all the paper. Do check in to see what I have been up to! I get back to removing paper from each of those 1/4″ strips you see in the picture ( the remaining four pieces are huge 1″ squares! P.S. 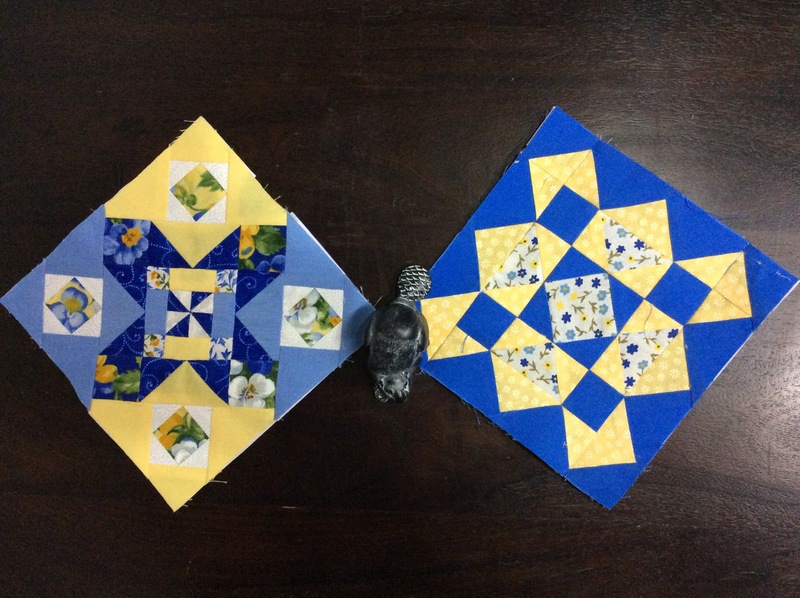 You can see what I did with all that piecing here. 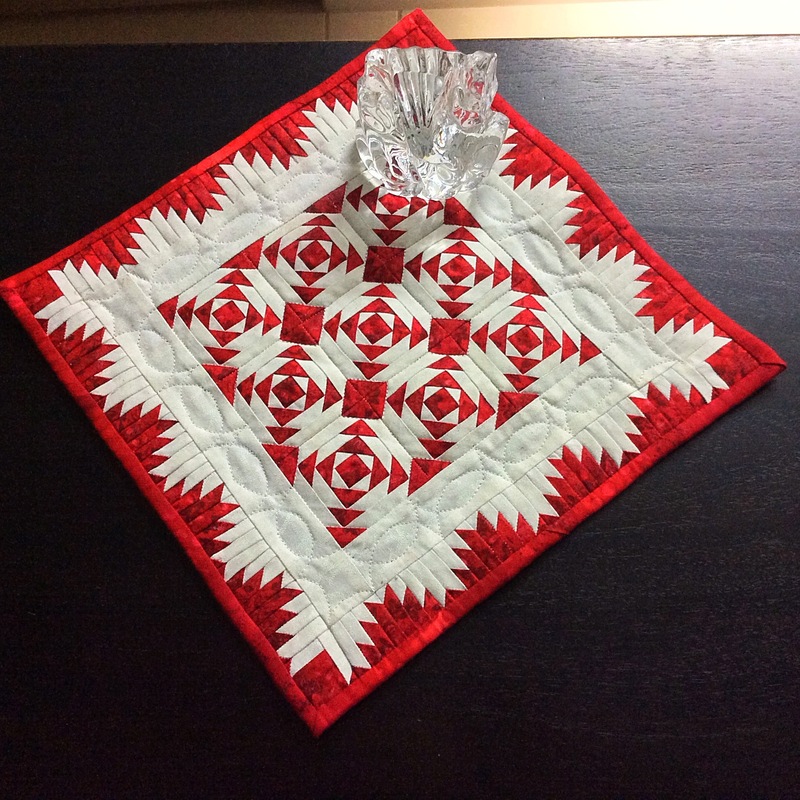 Author MadsPosted on November 20, 2015 November 20, 2015 Categories Patchwork of my lifeTags miniature quilt border, miniature quilts, red and white quilts2 Comments on Who is Afraid of Salinda Rupp? What if you do not wish to do a mitered binding? I was working with scraps and did not have enough fabric to cut out a length of binding without too many joints. 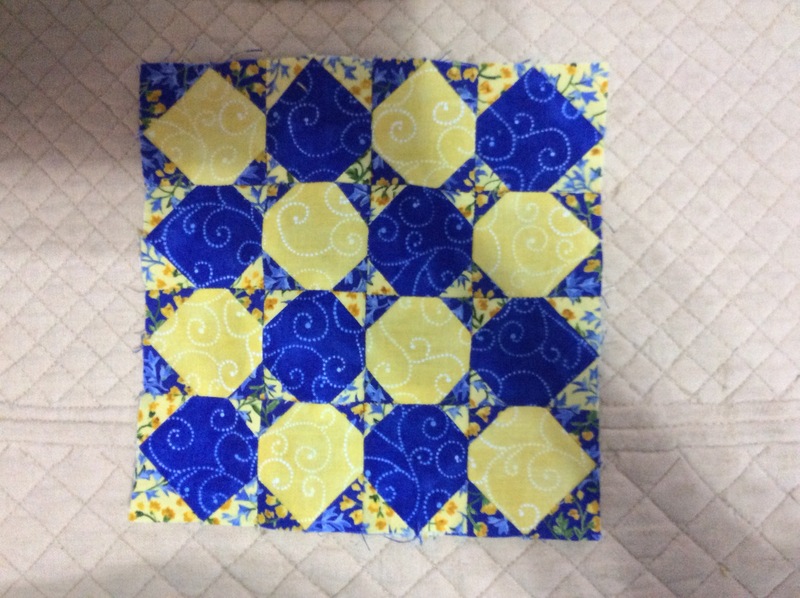 I decided to do a simple quilt binding instead – where you bind two opposite edges first, and then the other two. 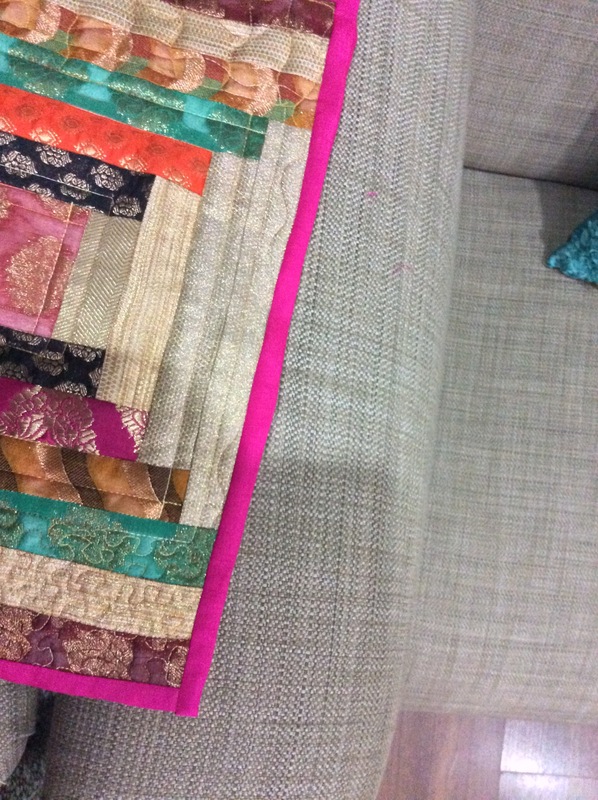 I have always finished with very untidy bumpy corners where the binding overlaps and I searched for a tutorial which would tell me how to go about it properly. I did not really find anything, so I recorded my method as I went along. 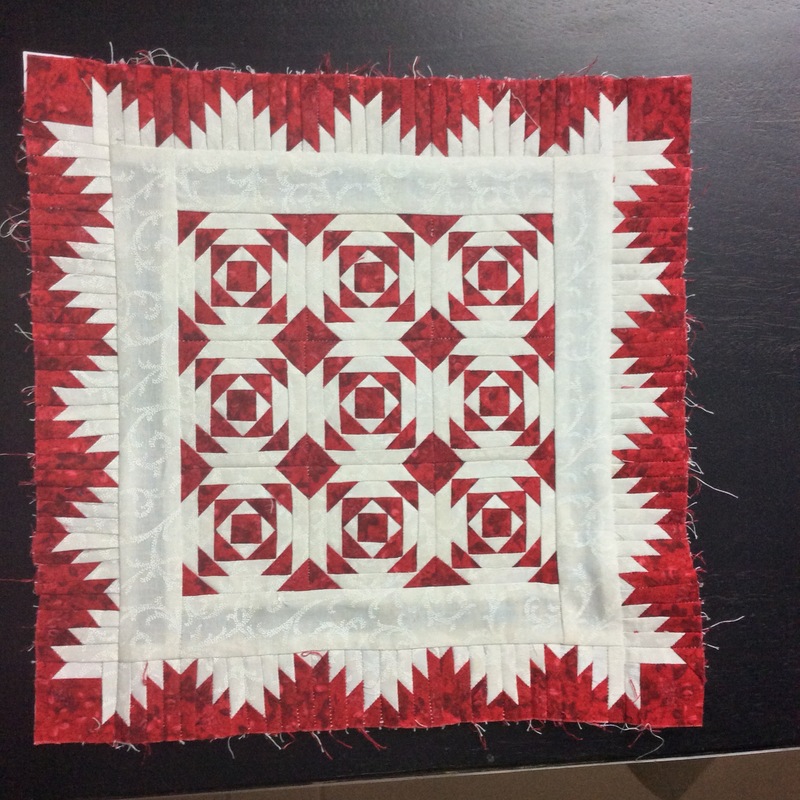 It is nothing new, but I hope it will help new quilters obtain a fairly neat result! 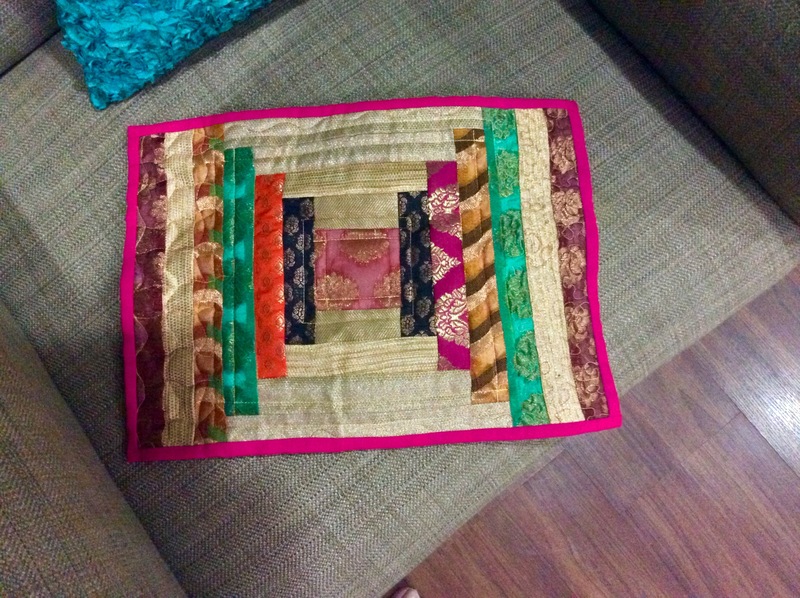 My small quilted piece finished at 10.5″ x 14.5″, inclusive of the seam allowance along each edge. I prefer a single rather than a double binding for small pieces, so I cut two pieces of binding 1.5″ wide and about 11″ long for the shorter edges. I sewed the binding on the top and pressed it open. I folded it to the back twice and hand sewed it to the back. Both of the shorter edges were finished before I trimmed it to size, to get a sharp, square corner. I have no photos of this stage, I guess this is simple enough. I again measured the longer edge, it was just under 15″. 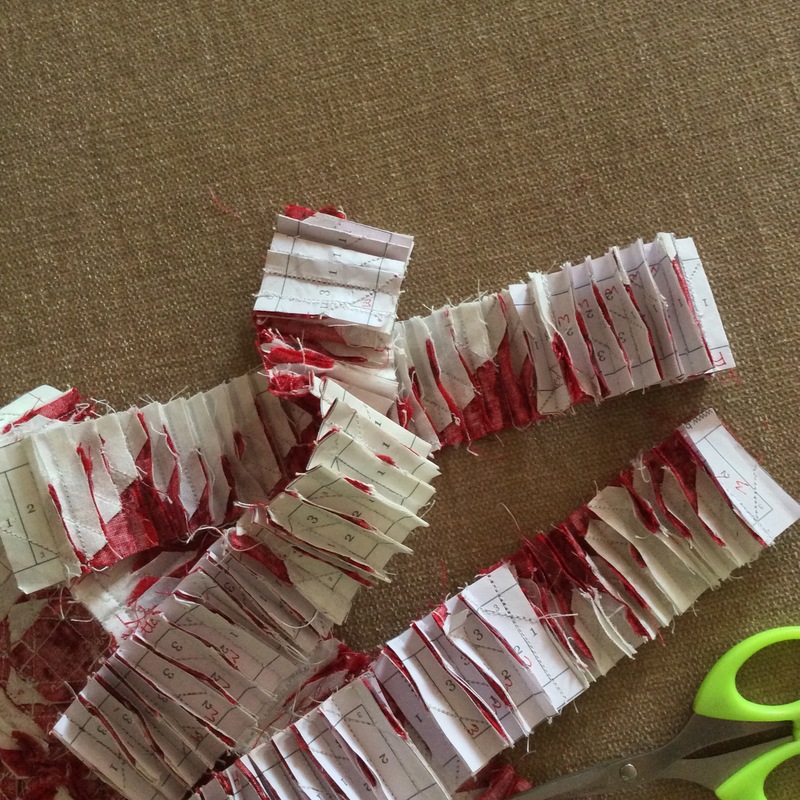 I now cut the binding length at 16.5″, that is 1.5″ longer than needed. 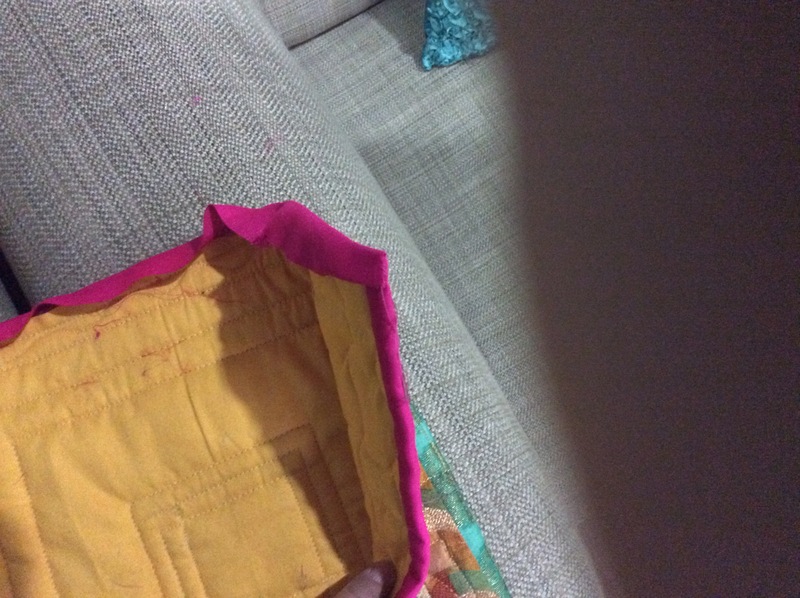 I lined the binding to the edge of the front of the quilt ( right side down) , folded it to the back about 3/4″ over the bound edge and began sewing. 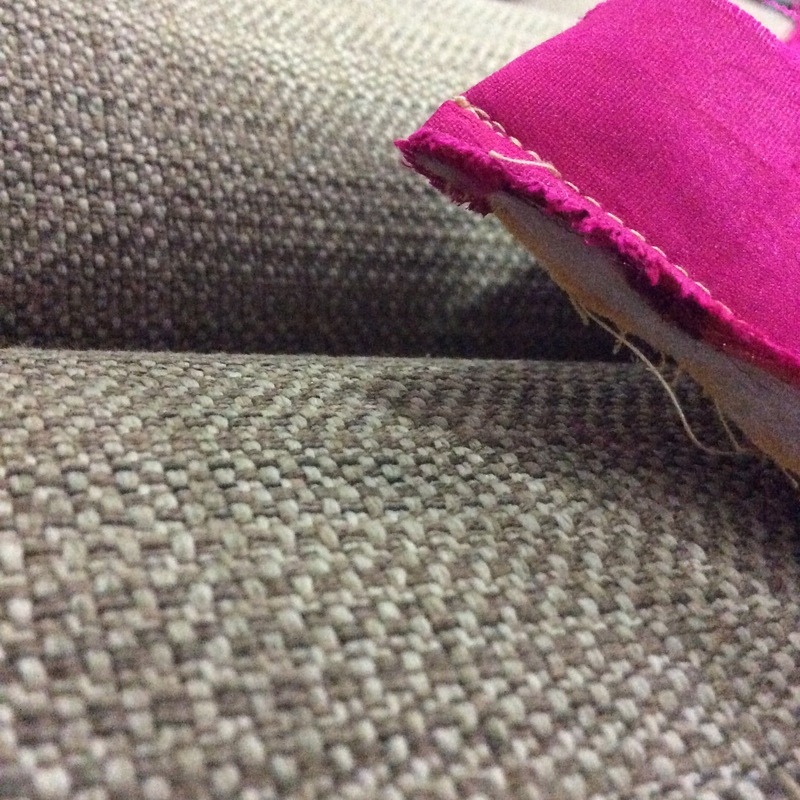 I secured the seam with some back stitching, sewed to an inch short of the other end, similarly folded the binding over and sewed to the end; took a couple of back stitches to finish. I think this picture will explain better than I have been able to! I suggest you make a tight, crisp fold to get a neat finish. Do the other longer edge similarly. 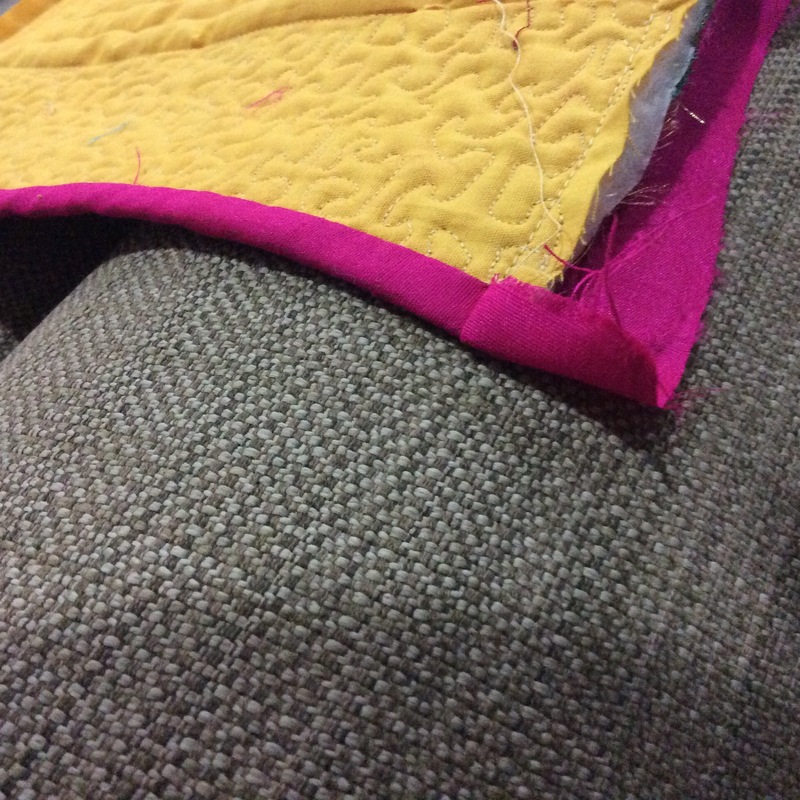 For the longer edge, fold the binding over about 3/4″ and sew. 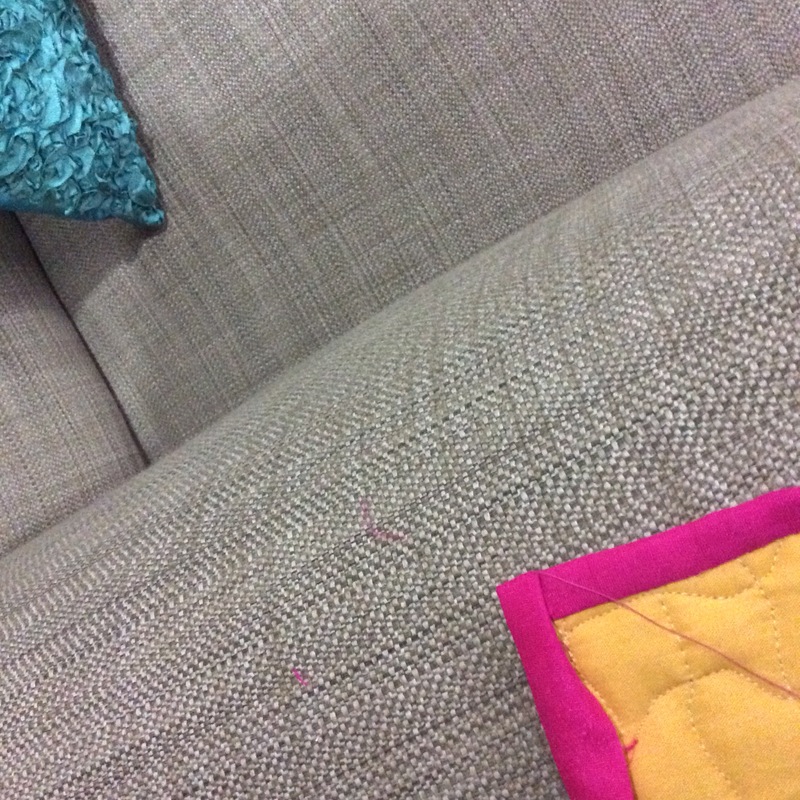 ; finish the other corner similarly. Now open out the binding…Here it is from the front. Now press the binding, especially at the corner where a crisp fold will mean a neat finish. If you like, you can press it to the back, fold in and press again … and pin in place if you are a pinner! Some people like to use binding clips, I get along fine without any of these. Press to fold the binding to the back. You can see a bit of a bumpy extended edge of the binding at the bottom right corner; this will have to be taken care of in the sewing! 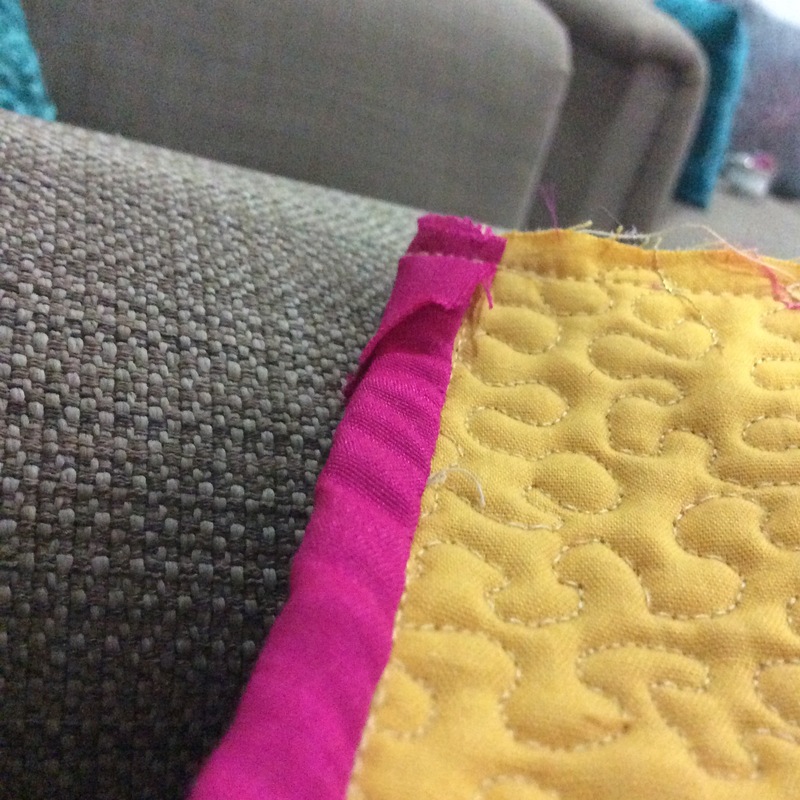 Start sewing at the corner , crimping and pulling in the fold to get a straight edge! As good as a mitered edge, isnt it? I use a variation of the ladder stitch to bind my quilts. 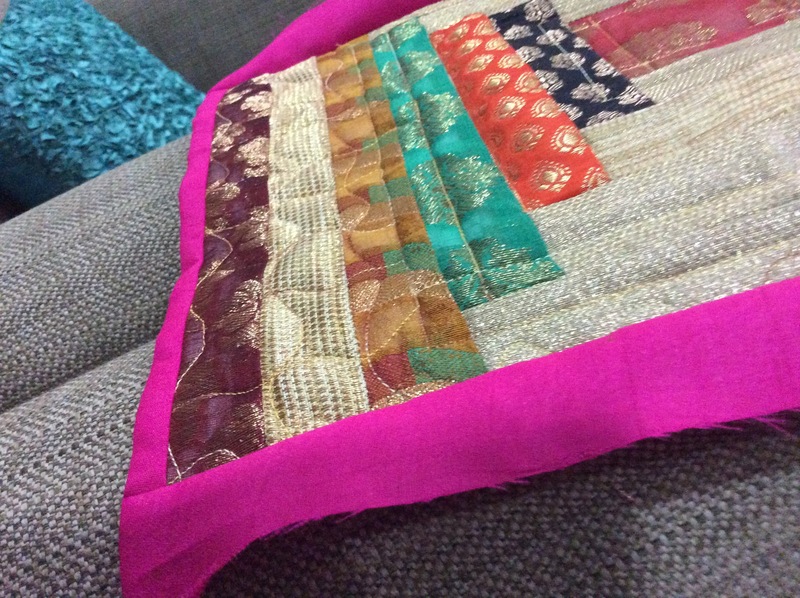 In such a small quilt, hand binding is the way to go, I do believe! The end corner is finished similarly. Here we are, all done! Almost perfect edges! You don’t have to do a mitered edge for a perfect binding, after all! I had an amazing day today and I didn’t even touch my quilting. Diwali, the Festival of Lights, is just around the corner and we decided, as a part of the annual cleaning spree, to finally have a look at the five large cartons and trunks of what we thought were old official papers to be sent for pulping. And look at what I found hidden there for the last fifteen years since they were packed! First, a folder cover I embroidered at the age of twelve ( it was really filthy and has gone into the wash), but it was not the ugly folder that was important. In a pocket in that folder was a picture of my daughter, when she was just ten days old! How precious is that!?! We also discovered a bunch of these photographs taken on a holiday to South India, travelling from Delhi. I don’t remember seeing these, ever. We probably got a transfer out of Delhi immediately thereafter; these were packed and the wooden box never opened till today. That photograph right on top has a story, which I love to tell. 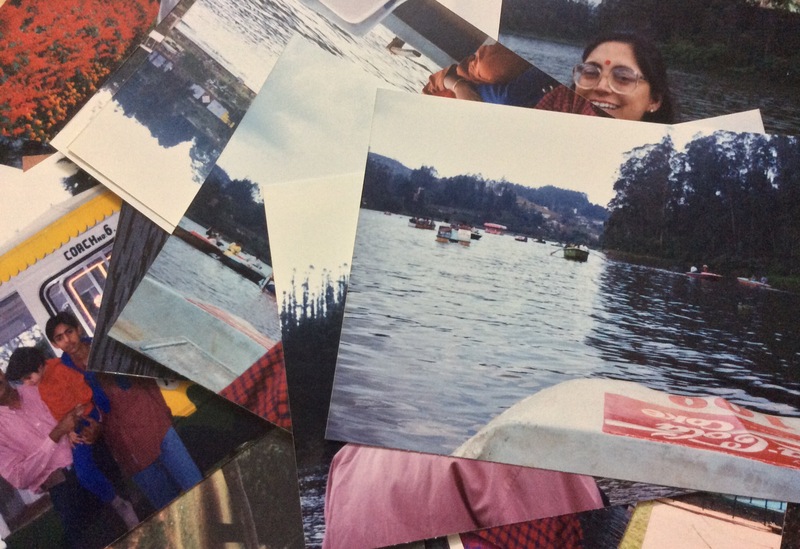 We were boating on this beautiful lake in Ooty when, right in the centre of the lake (probably right here), my husband, Rajeev, dropped something into the water. We later discovered that it was the key to the main door of our flat back home. As we landed home late in the evening when no locksmith was available, he had to break the door open with a kick (or several). You can imagine how effective this tale is in shutting him up when he is being particularly nasty about my carelessness, which is actually just the natural preoccupation of a creative mind. Or so I would like him to believe! I also found my collection of Georgette Heyers, about 20 of them! I have since replaced a few, as I thought they were lost forever! My dozen or so volumes from the Pelican series on Psychology, Sociology, Anthropology and Psychiatry, which I had scrimped and saved to buy when doing my Masters and also believed were lost… Freud, R.D.Laing, Durkheim…do you suppose a library would want them? 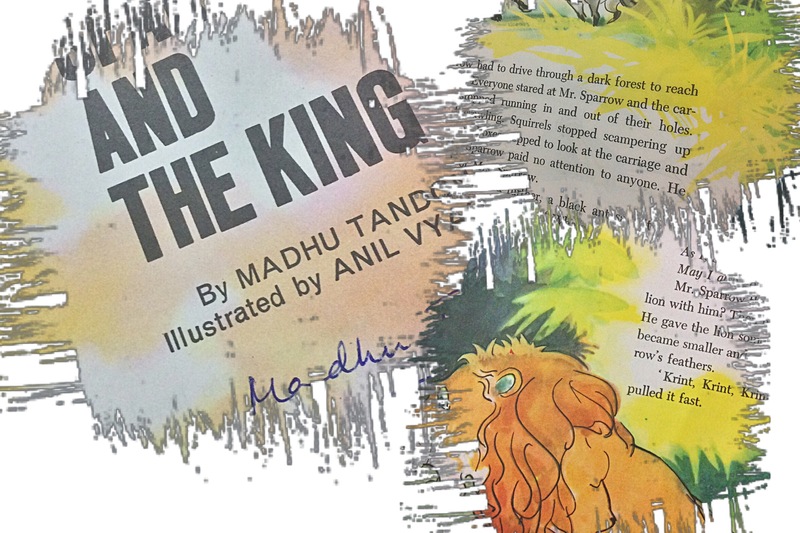 I also found the book I had written for children when I was still in college and which was published in 1979 by the Children’s Book Trust, New Delhi. I had won the National Award for the Best Children’s Literature in English for this and I didn’t even have a copy! The great Shankar wanted to illustrate this himself, but fell ill. I discovered a whole lot of letters and cards, including one drawn by a cousin when he was 7 years old. We lost him to a road accident some years ago, 3 weeks before he was to be married. Several letters – some from when we were in school together – from someone who was my best friend for forty plus years, but does not wish to talk to me now. 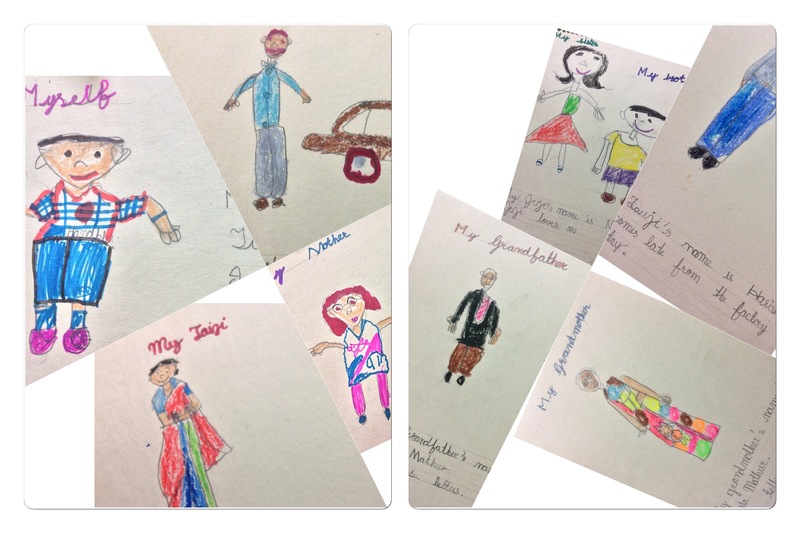 His family – in the eyes of a six- year old! By the way, we also found a letter of advice written by the same grandfather to my son when he had just entered medical school. So these were some of the lost treasures I discovered today. Tell me, how does one throw away these things?